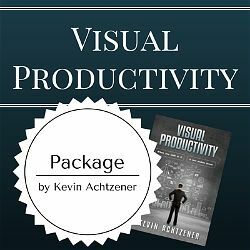 I'm taking a new direction with Visual Productivity. In the past I rotated my posts around a few topics, most notably productivity. I've also dabbled into writing on persuasion, motivation, tech gadgets, iPhone tips, and a lot more. Now I'm redirecting my focus in a big way. Going forward, I'm going to be setting up some learning challenges. I'll work my way through each challenge while sharing my thoughts, techniques, and results with you the whole time. I plan on choosing goals that many of you have probably thought of, or might even be considering attempting now or in the near future. A key point to remember is that every goal I set will be something I'm actually passionate about completing. That's an important factor in achieving whatever goals I set. It wouldn't do me any good to start working toward something that doesn't engage me. My purpose is to pack in a lot of learning in a short amount of time. That being said, I also don't want to rush any of the goals. I know you probably want to learn how to do things as fast as possible. So do I. But there's no use setting unrealistic timelines, just to say I was fast. The most important thing to me is being effective at whatever I do. One we take care of the quality, we'll look into speeding things up as much as possible. You can join me as we see what works and what doesn't. 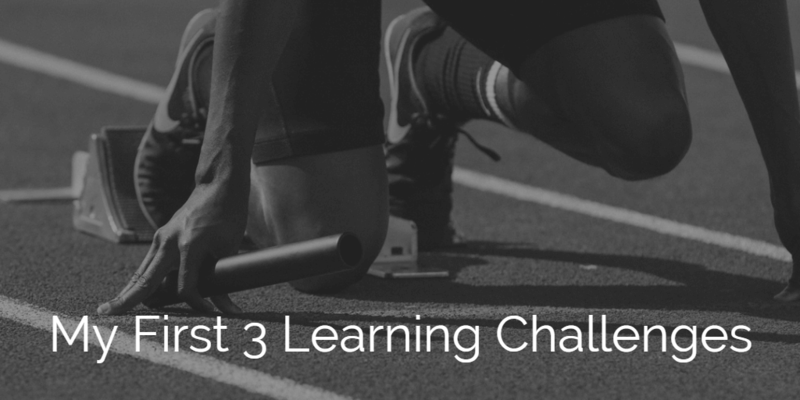 To begin with, I'm setting three learning challenges. Spanish, Running, and Writing. I'll give you a short version now, and I'll follow up this article with three separate launch posts to describe everything in more detail. The first of the learning challenges I'm going to target is to level up my Spanish. I want to phrase this goal in a way that let's me clarify what I'm after. I already speak Spanish. If you asked me, I guess I would say I'm fluent, but that word has a lot of different meanings to different people. My wife is from Nicaragua, which means I've had the “Built-in” opportunity to travel to Latin America, meet a lot of great people in the Latin community, and have conversations in Spanish each day. In the past, my issue was always that I was shy when it came to speaking anything other than English, and it's held me back from doing the things I want. This challenge is for me to smooth out my Spanish, and my ability to communicate during authentic conversations. I pretty much want to take my Spanish from 70% or 80% up to 90%. That's a goal you don't hear most people talking about. I know I could tell you I'll talk more, and that's definitely part of what I'll be doing, but I want to place my focus and effort on what will give me the most noticeable improvement. I'll get into my story in the kickoff post. I'll also talk about some about some of the concrete goals I'll make for myself including which dialect I'll focus on. There's a lot to consider and I'll try to cover off as much as I can think of before we get underway. I'll also include tips that can be used to help you improve any language, even if your target language isn't Spanish. Read and Write most days in Spanish – I don't do much writing or reading in the language. I'll be reading novels, and doing daily free writing in Spanish. I'll gradually move into writing some blog posts for one of my other projects. Reduce my accent – This includes working on pronunciation, rhythm of speech, intonation level, “enlace,” and several other factors. I'll work on a goal for this, but it could be having several people from different countries listen to me and give me a rating based on a scale of factors. Prep for authentic conversations – I do great when speaking to people, but sometimes need to learn words as I go. I recently helped out with some home renos and was at a bit of a loss when when came to the names of the tools or some procedures. I'll choose some topics that friends of mine are interested in and then go out and have conversations about these topics. I'll have to think a bit more about how many interviews and how many countries I want cover during my conversations. It might even be several done during the final month. The second of the learning challenges is to amp up my writing skills. I love communicating. I've spent a big chunk of my adult life in the communication business. I've done a lot of professional speeches and learned a lot about communicating verbally. I currently have two books in print, but I know I can make some huge improvements with my writing skill. That's the purpose of this goal in the challenge. I'll do some obvious things like write every day. The daily writings I do won't necessarily be published, but I'll leave that possibility. I have a lot of tips I've collected on writing. I'll spend some time going through many of those tips and I'll see which ones I get the most bang for the buck on. My overall goal will be to help you improve your own writing as quickly as possible by knowing what to focus on. Write a novel during the month of November – The National Novel Writing Month (NaNoWriMo) is coming up. I've always wanted to write a book for it. Looks like this year I'll get it done. Write daily – One of my big goals will be to write daily on whichever topic I choose. One of the biggest challenges to this blog over the years was that I always had a lot to say, but didn't want to sit down and put my thoughts into words. I'll figure out how many words will work best for me and I'll let you know if this helps me become more prolific and a better read. 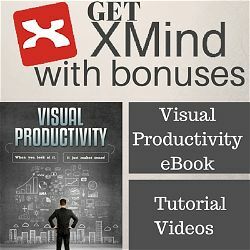 Study persuasive writing techniques – I'm looking for additional ways of making what I write more engaging. I have a huge list of ideas to go through. I'm calling the third of my learning challenges an energy goal. I don't really want to call it fitness, or running, or exercise. That's what a lot of my goal will come down to, but I want to leave things open enough that I can add a lot of better principles than just telling people to eat less and exercise more. I think that would be a was of our time together. I might weight myself before things get going but I don't want this challenge being focused on weight. I'm heavier than I want to be right now, but I know that if I put my focus on the right areas, I won't need to be watching my weight bounce around on the scale. I'll set out some clear goals in my launch post for this challenge. There might even be an extra mini-goal that gets added. I just saw a book talking about doing a pull up challenge, but I'm not sure if I want to add something else to my plate. Challenge length: 5 months. I'm going run a 10K and half-marathon in February. I've wanted to take part in this race for years, so it's happening this year. 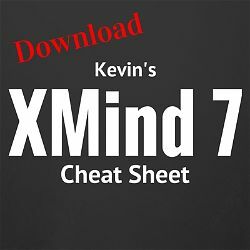 Run 10K in 40 minutes (4 minute kilometers) – I first got into running around 10 years ago when a co-worker mentioned how challenging it would be to run 10 in 40 minutes. I thought it sounded easy, so I set off to prove that I could do it. I eventually got that fast, but it took a lot of effort and dedication to get it done. Do full splits – The idea behind this goal is that I want to put a big focus on flexibility. I've come close to doing full splits in the past, but never been quite there. I'll need to consistently focus on my overall flexibility for this to be a reality. The splits is just a way to indicate that my flexibility is high. I'll research some techniques that will help me progress quickly and see what helps me the most. Posture – This is a huge thing these days. With more and more people working in front of computers, there's a lot of bad posture going around. Wearables – I'll also be deciding how much of a factor I want to make wearables. I'll probably buy at least one and test it out along the way. What do you want to go from here? So there we are. My three learning challenges. Is there a particular one you're going to follow? I think the goals of health and communication are pretty universal. I.m excited about what's coming up and I can't wait to share my experiences with you. Feel free to leave me a comment letting me know what your top goal is for the new months.